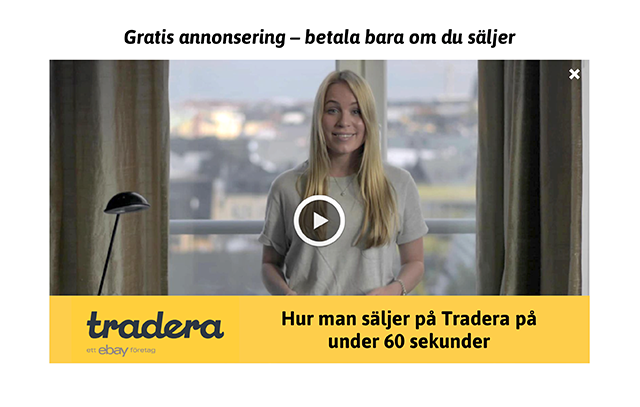 Tradera, a Swedish online marketplace for auctions and retail, needed a new selling experience. I drove a complete redesign of the item listing flow, as well as several major features that drove customer satisfaction and sales growth. Robust. We have big plans for a suite of new features, and needed a flexible, extensible experience to build upon. Simple. A few steps in the selling process had steep learning curves, so we devoted significant effort to make them painless. Fast. We found many ways to save time, from download and rendering speed to tools to streamline the listing process. Smart. By changing the selling process from one complex page to three simple ones, we use information gathered at each step to automate tasks. That reduces the burden on our customers, and solves our biggest call drivers. Lean. Since each page 'knows' certain things coming in, we eliminated entire classes of errors, along with the detection code, messaging and UX widgets necessary to correct them. That makes the page load and render much more quickly. Category selection. Choosing where an item belongs was previously a multi-step process, requiring manually navigating through a tree of hundreds of branches. Now, we automatically search against our product categories and present the most likely choices. This feature fixed the number one customer service issue in the sales flow. We also reduced the error rate of people choosing the wrong category by over 80%. Payment and shipping. Someone new to Tradera trying to sell an iPhone can be difficult. Buyers don't necessarily trust them and their phone won't sell. 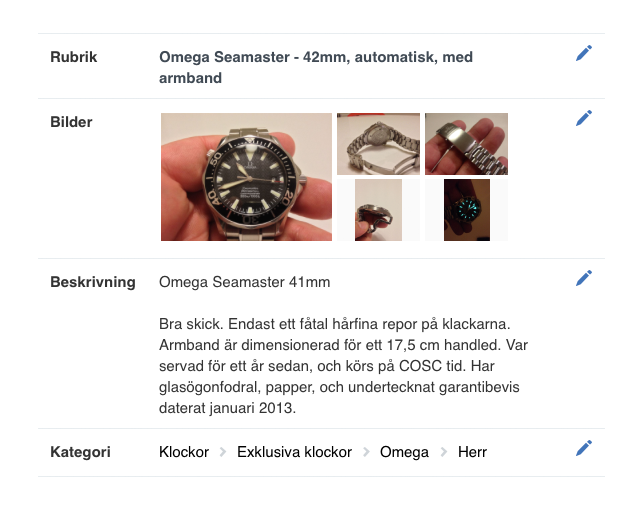 Now, they automatically list with Buyer Protection using Klarna payments and Schenker shipping. New sellers are now far more successful in selling smart phones on Tradera, and for higher prices. Buyers are more confident and report far fewer problems. Charity support. Every year, Tradera supports an event called Musikhjälpen. Sellers can donate the proceeds of their sales. The listings require very specific category, payment, and shipping options. It's been growing every year, and it became time to make charity support a global, robust feature. Future-thinking. Selecting the right category, shipping and payment options now happens with a single click, which simplifies the process and reduces our customer support burden. The feature is now robust, so we can support other charities with different parameters. Video. We had a marketing internship program, where students tackled a challenge Tradera faced as one of their assignments. One team prototyped a friendly overview video. Outcome. 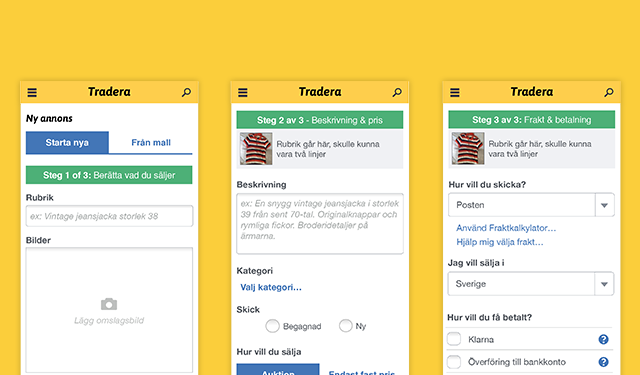 It was easy to implement, so we designed, coded and A/B tested it in a few days. Results, however, were flat, so we pulled it. We're still glad – lesson learned, quickly and easily. Templates. Customer interviews revealed our prolific sellers were wasting tremendous amounts of time repeatedly listing variations of the same ad. So, we piloted a 'templates' feature. Outcome. Huge success. Six months later, templates are now being used to list over 40% of all ads on Tradera. Analytics show templates save an average of ~2 minutes per listing. Massively improved retention. We measure the likelihood of a given customer to sell on successive months. The old interface dissuaded use - people were 15% less likely to return next month. The new design now makes people 50% more likely to list something again. Robust platform. The new experience allows us to quickly implement new options as needed to support important events. Significantly improved usability. By automating complex tasks, removing redundant edge cases, and stripping out unnecessary code, we've improved the experience in every way. We have reduced customer service calls, sped up the listing process, and increased net promoter scores. New extensibility. The new experience is open and 'light' and flexible, which allowed us to pilot and launch six new core capabilities within the year.